Leading scientific journal Nature reported on Wednesday about a maximum lifespan for humans. But are their statistics right? In an article in Nature on Wednesday, three American biologists demonstrate that the oldest people in the world haven’t gotten any older since 1995. “Maximum longevity has hit a ceiling of 114.9 years,” they write. It’s telling that Jeanne Calment, the French woman who died aged 122 in 1997, has held the record for the oldest living person ever for nearly two decades now. According to the researchers, the chance of a given person living that long will always be negligible. Lees hier de Nederlandse versie van dit stuk. Many major international news outlets, like the BBC and The New York Times, picked up the story. In an era when science sometimes seems to hold the promise of eternal life, it’s only natural that such a roadblock to immortality should make headlines. What’s the basis for their findings? The article is based on two international lists of people who have held the title ‘oldest living person’ over the years. 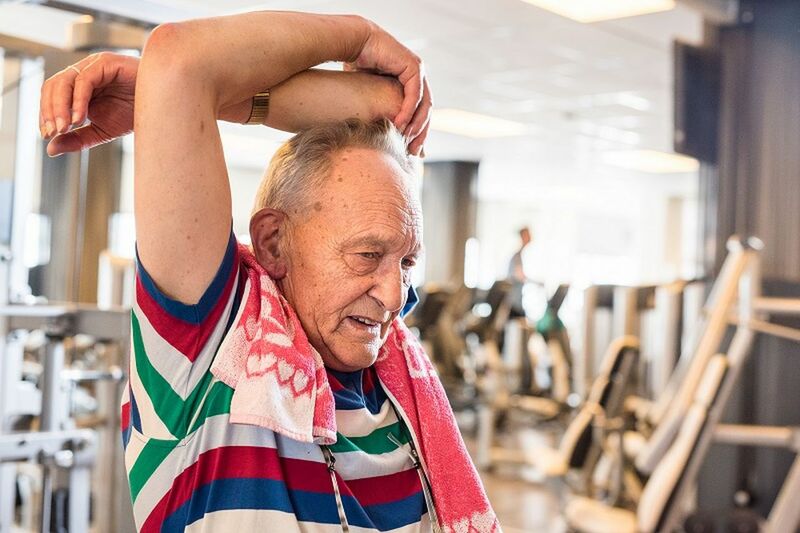 Lead by Jan Vijg, a biologist specialised in aging and the genome, biologists in the U.S. have used statistical analysis to demonstrate that a turnaround has occurred in the age of record-holders. From the middle of the twentieth century until around 1995, the oldest living individuals continued to become older and older – but since then, they’ve been getting a little younger again. Human beings have reached their maximum possible age, the biologists conclude. And it’s around 115 years. “I have a lot of questions. Personally, I wouldn’t have written an article on the basis of this data,” says Peter van der Heijden, Professor of Methodology and Statistics at Utrecht University. Professor of Healthy Ageing at the University of Copenhagen Rudi Westendorp phrases his reaction less carefully: “I honestly don’t get it. Nature should never have published this.” Nature is one of the two most highly-regarded scientific journals worldwide. German demographer James Vaupel issued a response calling the study “a travesty”. What went wrong in this instance illustrates a claim made by statisticians with some regularity: something like half of all articles in leading journals contain statistical errors. This article about the longest-lived people in the world seems to be an extreme example. The most important line graph (here the uppermost) in the Nature article by Jan Vijg – who works for the Albert Einstein College of Medicine in New York – illustrates how old the oldest living people lived to be from 1968 on. The graph is based on data from the International Database on Longevity, or IDL. In Vijg’s opinion, the line graph shows a turning point around 1995. The trend is first towards increasing age (blue), followed by a slight decrease (orange). “You don’t need statistics to explain something you can see with your own eyes,” Vijg says. The turning point was hit somewhere around 115 years of age, back in 1995. In other words: we’ve already hit peak age. An important bit of information: Vijg assumed this break in the trend in advance, he told NRC on the phone – in Dutch, as the biologist was born in Rotterdam. Vijg then had the computer calculate two underlying ‘trends’, one for the period before 1995 and one for after. These are the lines seen on the graph. That’s not how these things are supposed to be done. One such coincidence is the data ‘dot’ representing Jeanne Calment, who with her 122 years was – coincidentally – absurdly old. The supposed decline in longevity reported by Vijg is based on Calment and just eleven others: very scant data, in other words. Van der Heijden sees additional, more technical errors (“now that you’ve got me started…”), which we won’t be addressing here. What’s remarkable is that Jan Vijg had a second, more extensive database of longest-living old people at his disposal: that of the Gerontological Research Group (GRG). In this graph (line graph in the middle), which appears only in the appendix of the publication, the reversal in trend is less apparent than before. Rudi Westendorp suspects that the latter conclusion is correct. “I see a continuous line, one that moves upward.” Before Copenhagen, until two years ago, Westendorp was Professor of Geriatric Medicine in Leiden. Population surveys show the same thing, he adds. 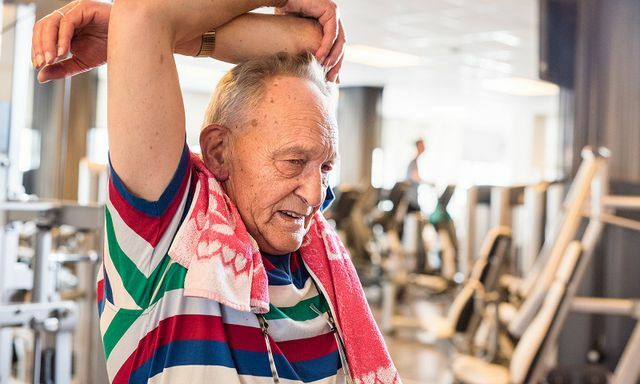 “All the available data says that the oldest individuals still living just keep getting older – and are in better condition as well.” He sent us a Danish publication that appeared in The Lancet in 2013 (in which he had no part). That study compared 93-year-olds in 1998 with 95-year-olds in 2010. The more recent group of superannuated individuals had clearly retained more function than their predecessors. The editors of Nature declined our request for comment. “For confidentiality reasons, we cannot comment on the editorial history or review process of any paper published in Nature,” replied their spokesperson by e-mail. Statistical evidence to support the assertion that the oldest living people haven’t gotten any older since 1995 is weak, according to two professors. We find the idea that the maximum human lifespan is 115 years to be unfounded. Have you encountered an assertion that you’d like to see checked? E-mail us at nrccheckt@nrc.nl or tweet your tip using the hashtag #nrccheckt.